October is spooktacular on ABC, as the network gets into the spirit of things (literally!) with Disney·Pixar’s first special for television, “Toy Story OF TERROR!” airing on October 16th. 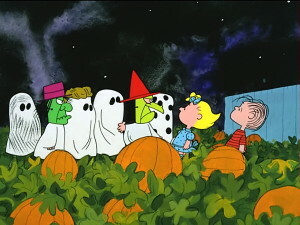 Also on Halloween night, the network will air the beloved classic “It’s the Great Pumpkin, Charlie Brown” and “Jimmy Kimmel Live” will host a Halloween party.